I love Italian food and not just because of my Italian heritage. I just love the simple way fresh flavors come together to make something utterly scrumptious. 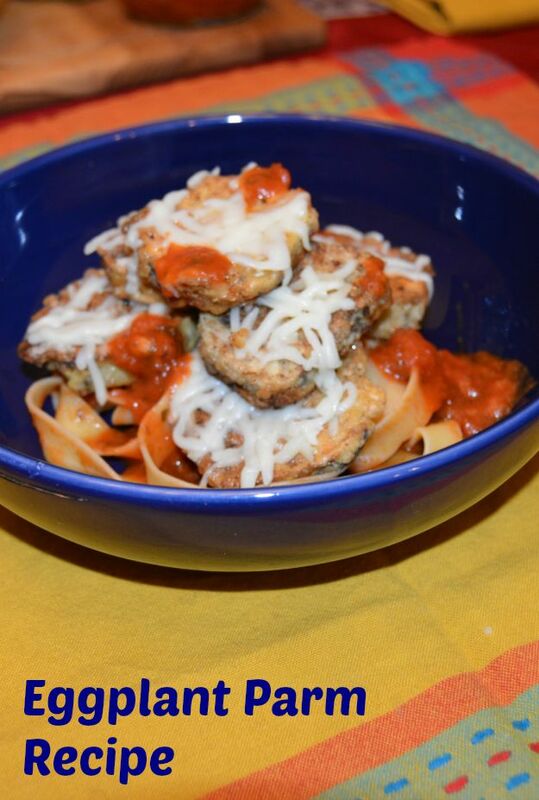 One of my favorite Italian dishes to make is Eggplant Parmesan because it is a great way to get my kids to eat their veggies so today I will share with you my easy to make egg plant parm recipe. 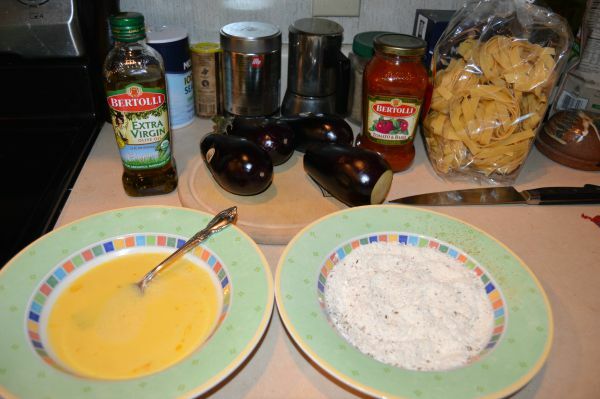 What got me in the mood for eggplant parm was when I found out about Bertolli® taking part in the Kroger sponsored ‘Taste of Italy’ program in stores from September 23rd through October 11th. Bertolli sponsored this post but all opinions expressed are my own. 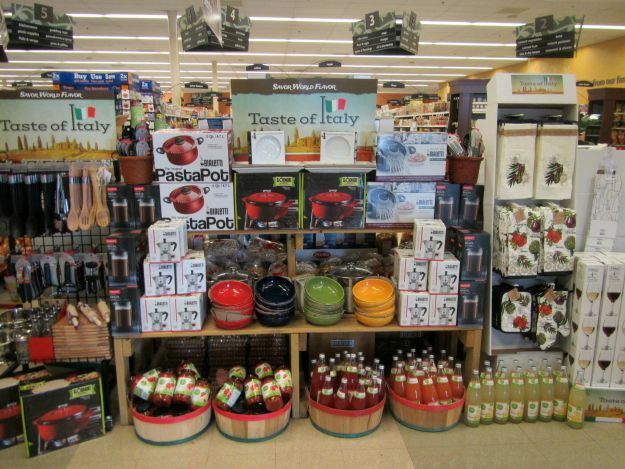 I went on over to my Kroger to have a look and they had a nice big display that made me want to buy all things Italian- from pasta bowls to Italian sodas. 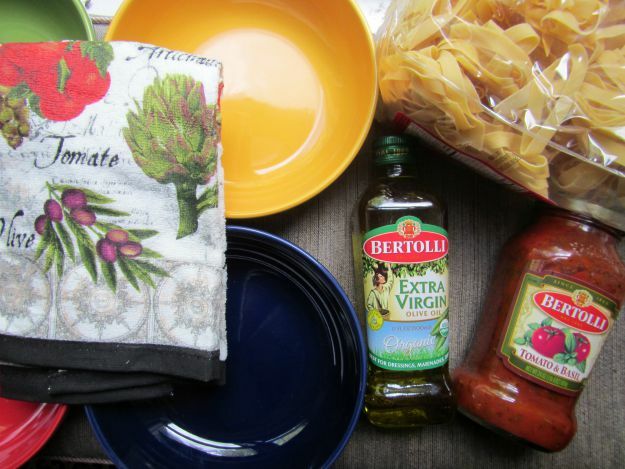 I got a little carried away with the Taste of Italy® theme and got some beautiful pasta bowls and a new Italian themed kitchen towel. I just figured while we are enjoying our Tuscan-inspired meal, I might as well go all out. Eggplant parm is such a comfort food and it is a great dish to enjoy in the fall that satisfies the craving for a rich, flavorful meal without being too heavy. 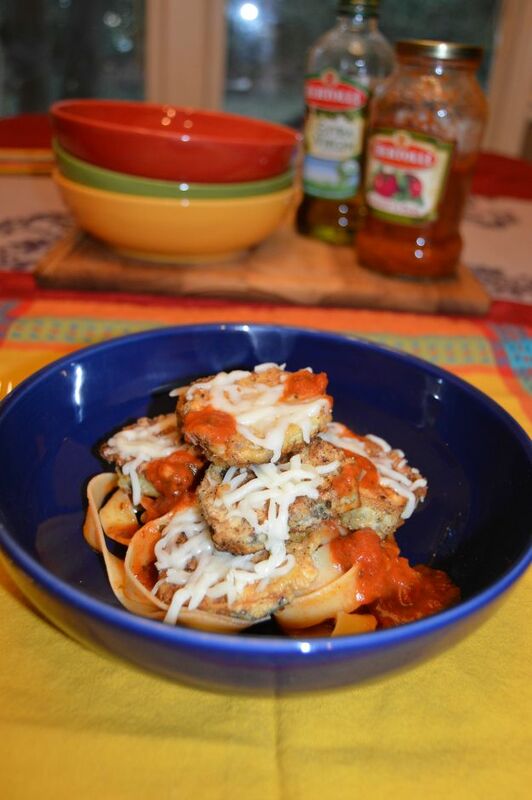 Eggplant parm- delicious Italian comfort food without being too heavy. Place a pot of water to boil and cook pasta according to package directions. While the water is coming to an boil, I cook my eggplant. Prepare your flour mixture by mixing flour, salt, pepper, and Italian seasoning in a shallow bowl. In another shallow bowl, beat eggs until well mixed. Slice top and bottom off all eggplants and peel. Then cut eggplant into 1/2 inch slices. While the olive oil is heating up in the pan over medium-high heat, go ahead and dip your eggplants in the egg wash and then into the flour mixture coating evenly. When the oil is hot (a drop of water will sizzle), add your floured eggplant slices and allow to brown nicely on both sides. It takes about 2-3 minutes on each side and the eggplant will feel tender when you pull it out with a fork. 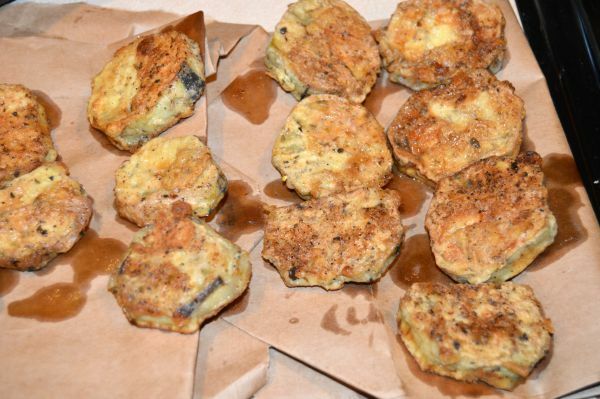 Remove fried eggplant from pan to a paper bag or paper towels to absorb excess oil. When pasta is al dente, drain and pour back in the pot with enough of the Bertolli® Tomato & Basil Sauce to coat the noodles well. Place the fried eggplant slices onto a cookie sheet and sprinkle mozzarella over them, place in the oven under Broil for about 2-3 minutes until melted and lightly browned. Serve pasta as a bed for the fried eggplant. Sprinkle freshly grated parmesan over the whole dish and enjoy! I hope you enjoy this Tuscan inspired dish. Bertolli® sauce is great for both giving a twist to a classic dish or for trying new recipes that you haven’t attempted yet! How does Bertolli® provide a base for your unique recipes and bring your dish to the next level? 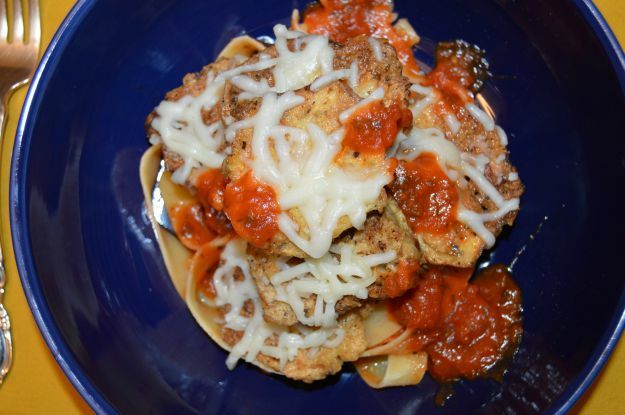 Are you inspired to visit Kroger’s Taste of Italy® to create your own twist on an Italian meal?